Here’s another sentence we shouldn’t have to say: The President of the United States is picking a fight with Jay-Z on Twitter. Donald Trump started off his Sunday morning like he usually does — with an unnecessary tweet. This time, Trump’s tweet wasn’t about being a stable genius, but it was still pretty outrageous. During an interview on CNN on Saturday, January 27th, Jay-Z commented that Trump’s lack of respect for African countries was hateful. (In case you missed it, Trump made a remark about “shithole countries” recently.) And here’s how Trump responds to Jay-Z: By taking the criticism and spinning it into a point that has next to nothing to do with his original comment. Sigh. Trump was not subtle in his rebuttal to Jay-Z. He called the rapper out by name and boasted about the Black unemployment rate in the United States. 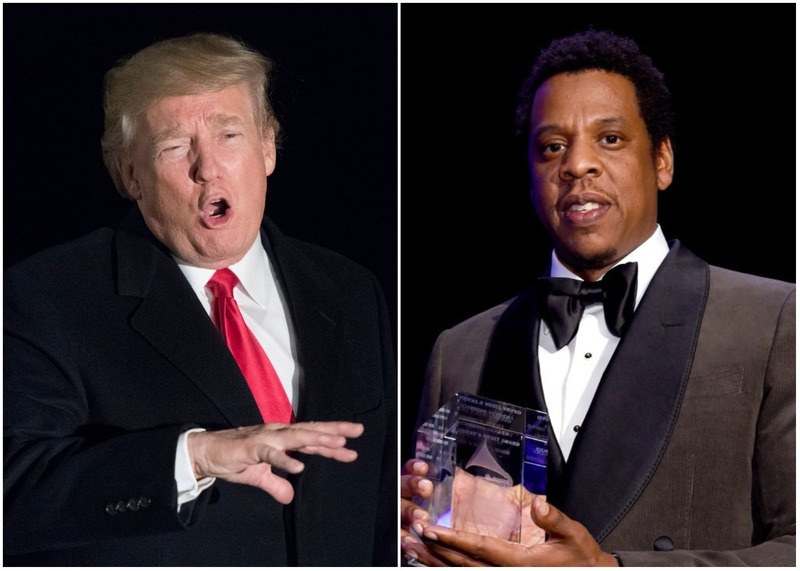 Trump’s tweet to Jay-Z is completely off-topic, but what else do we expect? The president hears criticism about how he disrespects entire other nations and somehow connects it to the Black unemployment rate. The way Trump responds to Jay-Z is further proof that Trump is not capable of carrying on an adult conversation. Donald Trump attacking a famous person is right in line with how he chooses to spend his time in office. Jay-Z’s original remarks were very thoughtful. He reiterated that it was hurtful to hear a man in power refer to African nations in such a callous and offensive way. The way Trump responds to Jay-Z completely misses the mark. “So misinformed” is a great way to put it. Naturally, people on Twitter are quick to point out the hypocrisy of Trump attacking Jay-Z and not directly calling out Eminem for his criticism of the President. I wonder why Trump has never responded to Eminem’s comments. I mean, I actually know why just like everyone else does. Trump ignores Eminem’s diss track, but responds immediately to Jay-Z’s criticism. Wonder what the difference is. In case it’s unclear, Trump is much quicker to attack people of color than white people. Eminem released an entire song criticizing Donald Trump and went without a single response from the President. Trump’s racism is blatant. His time is not well spent. Go back to work, POTUS.